Free Architectural Advice - Let Us Help You! Did you know that the Association has an architect and a landscape architect that will come to your home and meet with you for free? Before you go to the expense and time of hiring a consultant to advise you on paint colors, landscaping or renovation projects, why not schedule a free consultation with one of Muirfield’s architects? Our architects are both on the Design Control Committee and are ready to assist you in finding solutions that will help beautify your home! Rich Taylor, AIA, Architect, will meet with you at your home to advise you on any exterior or interior project, including selecting paint colors, windows, doors, decks, siding changes, home additions, or any other changes or additions. Although only exterior changes need to be approved by the Muirfield Design Control Committee, Mr. Taylor will still offer you advice on any interior changes, including everything from paint colors to huge renovation projects. To schedule with Mr. Taylor, make a request in the Members Area or reply to this email with your name, address, phone and best email address, along with a short description of the project you’d like advice on. John Reiner, Landscape Architect, can offer advice on landscape design or redesign, tree issues, planting suggestions, and how to best integrate landscape design with new or existing home elements, such as patios. To schedule an appointment with Mr. Reiner, go to https://oaklanddesignassociates.setmore.com/. Once you have selected your date and time, fill in the information the system requests. After the process is complete, you will receive a confirmation of your appointment via email. If you are not comfortable scheduling yourself, call the office at 614-889-0922 and a staff member will assist you. There is absolutely no cost whatsoever for a visit from either architect. To our knowledge, we are the only HOA in the country providing this service, so please take advantage of it! Fall is the perfect time to schedule! Spring schedules for contractors fill up quickly, so now is a good time to get this valuable, free advice, so you can get on your contractor’s schedule spring schedule before the rush! The association grounds crew will be working on the pathways over the next several weeks. They will be removing and replacing asphalt sections in multiple areas around Muirfield Village. Please use extreme caution and watch for our crews and for pathway closures! Be on the lookout for areas that have asphalt temporarily removed. If you need another route, view maps on our site or use Google Maps, which shows most of our pathways. Keep your yard well-lit if you plan to pass out treats. Turn your lights off if you won’t be home to discourage children from approaching your property. Make sure your yard is clear of such things as ladders, hoses, dog leashes and flower pots that can trip young children. Battery-powered jack-o’lantern candles are preferable to using a real flame. If you do use candles, place the pumpkin well away from trick-or-treaters. Healthy food alternatives for trick-or-treaters include packages of crackers with cheese or peanut butter, packaged fruit rolls, mini boxes of raisins or microwave popcorn. For non-food treats try pencils, stickers, coins or plastic toys. Our office received several calls last fall about unattended fire pits during Trick-or-Treat. Mike Altomare, the Fire Marshal of Washington Township Fire Department, sent us the following information to forward regarding open burning, which includes fire pits. 1. Fire in approved containers that are not less than 15 feet (4572 mm) from a structure. (a) 307.4.1 Bonfires. A bonfire shall not be conducted within 50 feet (15 240 mm) of a structure or combustible material unless the fire is contained in a barbecue pit. Conditions which could cause a fire to spread within 50 feet (15 240 mm) of a structure shall be eliminated prior to ignition. (b) 307.4.2 Recreational fires. Recreational fires shall not be conducted within 25 feet (7620 mm) of a structure or combustible material. Conditions which could cause a fire to spread within 25 feet (7620 mm) of a structure shall be eliminated prior to ignition. (c) 307.4.3 Portable outdoor fireplaces. Portable outdoor fireplaces shall be used in accordance with the manufacturer's instructions and shall not be operated within 15 feet (3048 mm) of a structure or combustible material. Exception: Portable outdoor fireplaces used at one-and two-family dwellings. (5) 307.5 Attendance. Opening burning, bonfires, recreational fires and use of portable outdoor fireplaces shall be constantly attended until the fire is extinguished. A minimum of one portable fire extinguisher complying with paragraph (F)(906) of rule 1301:7-7-09 of the Administrative Code with a minimum 4-A rating or other approved on-site fire-extinguishing equipment, such as dirt, sand, water barrel, garden hose or water truck, shall be available for immediate utilization. Now that leaf collection has begun, we’d like to pass on some leaf collection FAQs and address some concerns that we typically hear. This information has been provided by the City of Dublin's website and Lindsay Weisenauer, Public Affairs Officer at the city. Where and When Should Leaves Be Raked? Rake leaves curbside to the grassy area at the curb. Never put leaf piles in the street. This prevents them from clogging drains, thus causing standing water in the streets. If they do make it down the drain, they can cause algae and impact local water quality. Consider raking right before collection week begins. This will eliminate leaves from blowing back into your yard and will minimize grass discoloration. If you have leaves that need to be disposed of on weeks when the leaf pickup equipment is not in your neighborhood or after leaf collection season has ended, you may bag them in paper yard waste bags and put them out for collection on Mondays. Yard waste is picked up year round in Dublin. We operate two different types of leaf machines: a small compact unit for inside the residential areas and a 30-yard trailer for areas that are more open. Residents could potentially see a leaf machine in their area but not receive service at that time because their roadway is not a road that this particular machine services. However, they will still receive service during their assigned week. We ask that residents do not rake leaves into the streets as it is unsafe and can lead to flooding and other problems with the storm drains. Keeping the roadways clear of leaf piles while residents are awaiting service is very important. However, at the time of providing leaf services, staff members will often rake ahead to make the leaf piles more approachable for the truck and machine to pass. Many times this includes temporarily raking them into the roadway. This is to simply help provide the service in a more efficient manner. If all leaves on your street have been picked up but yours, it may be because you missed the pickup. Please ensure leaves are at the curb by 7:00 a.m. the Monday of pickup week. Another reason leaves may not be picked up is if they were mixed with other yard waste. Leaf piles that are mixed with grass trimmings, branches, brush or other non-leaf content will not be collected through the leaf pickup service. You may have branches collected through the curbside chipper program by calling Streets & Utilities at 614.410.4750 and scheduling a collection, and may put other yard waste out in bags on Mondays. If you know you did not miss pickup and your leaf pile contained only leaves, call Streets & Utilities at 614.410.4750 and let them know your house was missed. * Leaves are being picked up this week. They should have been at the curb by Monday at 7:00 a.m. If the leaf truck has already come to your street and you’re just now raking, they may not be picked up until the following pickup. Read more about leaf pickup here. 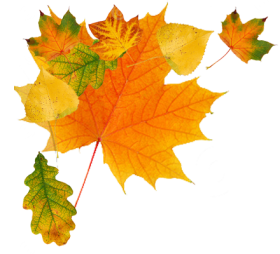 Now that leaf season is in full swing, try LeafGo to check leaf collection progress!